Free radicals are molecules with incomplete electrons. As such, they are constantly searching for other electrons to steal from healthy cells. As a result, these healthy cells also become free radicals, causing a chain reaction. This process of stealing electrons from one another is called oxidation and is in fact a perfectly normal part of life. For example, an apple turning brown after peeling is also a form of oxidation. Free radicals can go on a rampage in our bodies, causing damage to tissue they come in contact with. Having too many of these free radicals will eventually cause more damage to our bodies than they can repair. This can then lead to minor illnesses, but also to much more serious diseases such as cancer, heart disease, Alzheimer’s and Parkinson’s disease, diabetes and allergies. Free radicals are essentially everywhere. They are in the air, in our bodies, in foods and in materials around us. Environmental toxins from industrial pollution, household chemicals, cigarette smoke, pesticides and toxins in water all produce free radicals. Free radicals are also present in a lot of different types of food we consume on a daily basis. For example, unhealthy oils, food preservatives and highly refined foods such as white sugar are all guilty of producing free radicals. Excessive alcohol consumption also triggers substantial free radical production, so do depression, emotional stress and other mental health issues. In today’s world, we are much more vulnerable to free radical production than hundreds of years ago, simply because our society has changed dramatically. So how do we fight back against these free radicals? With antioxidants! Antioxidants are molecules that act like a defense system to protect the body against free radicals. They help prevent and repair the damage caused by these free radicals. Antioxidants essentially “donate” electrons to free radicals. This neutralizes them and stops them from causing further damage to healthy cells. They are called antioxidants because they stop the oxidation process. The human body, in today’s society, is not able to produce enough antioxidants to keep us protected against free radicals. We therefore need to consume a sufficient amount of antioxidant-rich foods to keep our defense system up to full strength. This is one of the reasons why we are often told to eat five serves of vegetables and two serves of fruits every day. In general, fruits and vegetables, but also nuts and spices, are the best sources of antioxidants. Raspberries, blueberries, blackberries, cranberries, strawberries. 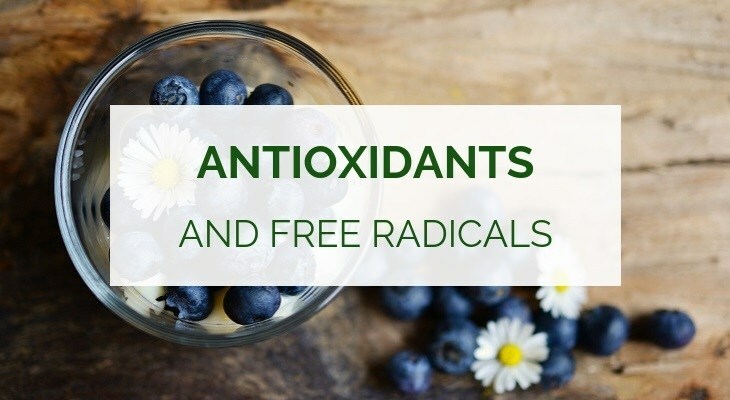 The best way to protect yourself against free radicals and to get enough antioxidants in is by consuming a wide variety of antioxidant-rich foods. Vegetables and fruits all have their own unique combination of different antioxidants, so a balanced and colorful diet will provide the best protection against free radicals. An effective and easy way to get your vegetables and fruits in is by consuming green smoothies on a regualr basis. Have a look at my list of recommended blenders that can make the best green smoothies for you and your family. 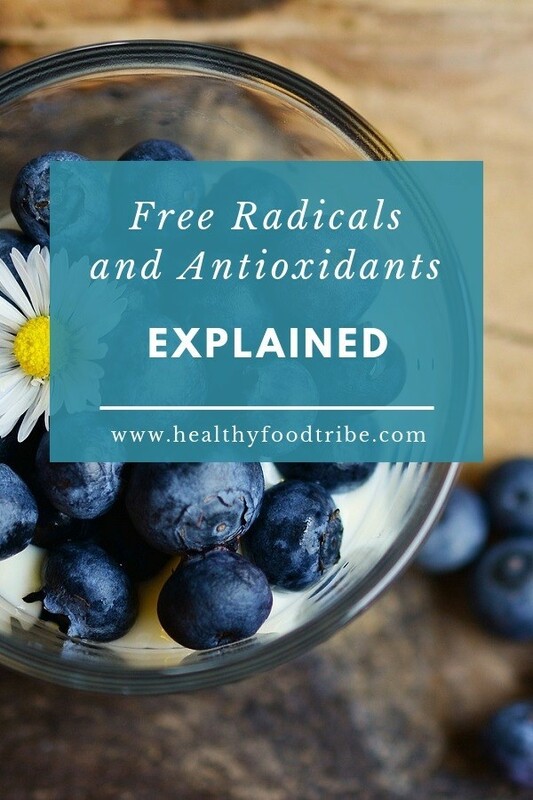 Hopefully this article has given you some great insights in the exciting world of free radicals and antioxidants. I say exciting, because I do actually find this topic quite fascinating. It must be the nerd in me! But jokes aside, it’s extremely important to maintain a health, balanced diet that provides you with sufficient antioxidants. This will help fight diseases, in the long term as well as in the long term. In addition to diet, it’s also crucial to maintain a healthy lifestyle, and this involves regularly exercise and going outside for some fresh air.